Following the worldwide celebration of International Day for Mine Awareness on April 4, and as states gather in Geneva to discuss how the Convention on Cluster Munitions is already making a difference on the ground, it is exciting to inaugurate a blog dedicated to discussion around strengthening the ban on antipersonnel landmines and on cluster munitions. 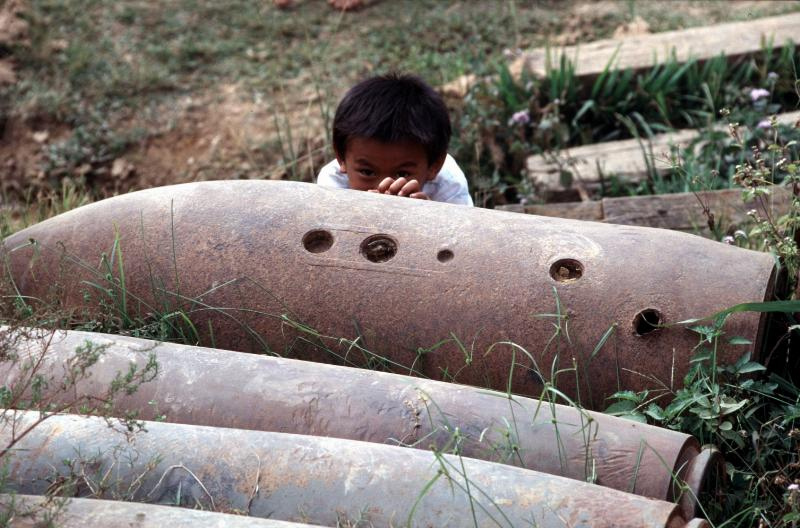 As we saw from a number of very interesting blogs published, (Brown Moses Blog in cooperation with Human Rights Watch, Oxford University Press Blog and Huffington Post – Ken Rutherford Blog) landmines and cluster munitions are widely condemned today as indiscriminate weapons of death. This is nothing but the greatest achievement for both campaigns. But we know these weapons are still used by a small number of countries, like Syria and Myanmar against their own citizens; many countries have yet to ratify or accede to the Convention on Cluster Munitions, and the Mine Ban Treaty and must do so immediately. We know that many affected states are not living up to their obligations and commitments under these conventions regarding clearance of contaminated areas. We also know that much more needs to be done regarding survivors’ rights, to ensure their inclusion and increase their access to adequate services and job opportunities. And this is highly possible with more political will. Over the years, internet readers have appreciated the creativity and diversity offered by the personal approach of thousands of bloggers on issues of concern to them, be they a “coup de coeur” or a public outcry. Blogs provide us with an opportunity to share our views and touch people’s hearts and minds by favoring a personal approach and informality, over more structured and conventional writing. The strength of the campaigns to ban landmines and cluster munitions has always rested with its members. These are the dozens of campaigners working for big and small NGOs in a hundred countries and the survivors who are struggling to change the reality for their peers and other persons with disabilities. They are the researchers involved for years in the monitoring of the Mine Ban Treaty and the Convention on Cluster Munitions as well as of global trends and issues related to explosive remnants of war and their impact on civilians; and of course the staff of these campaigns working daily to advocate for, and follow developments regarding the bans on antipersonnel landmines and cluster munitions. This blog is an invitation to you all to provide a unique insight on your issues of concern and activities; this is an invitation to share questions, comments and thoughts related to the respective bans on these weapons. This is also an invitation to you readers from outside the campaign, to join us by sharing your views, leaving your comments and engaging in a dialogue around the Mine Ban Treaty and Convention on Cluster Munitions. This blog should help us all to understand perhaps in a different way challenges to moving forward, and how we can meet them, but also offers an illustration of the ban campaigns in action, sharing questions, concerns and hopes. Our main hope remains the realization of a world without antipersonnel landmines and cluster munitions, where the suffering they cause has ended, and the rights of victims are upheld and fulfilled.